Love was in the air this week. This Valentine's Day, we saw picture after picture of colourful roses, delightful treats and candlelit dinners grace our feeds. Sharie Ross-Tse reminded us with this heartwarming portrait taken in London that the best Valentine’s Day gift is spending quality family time. 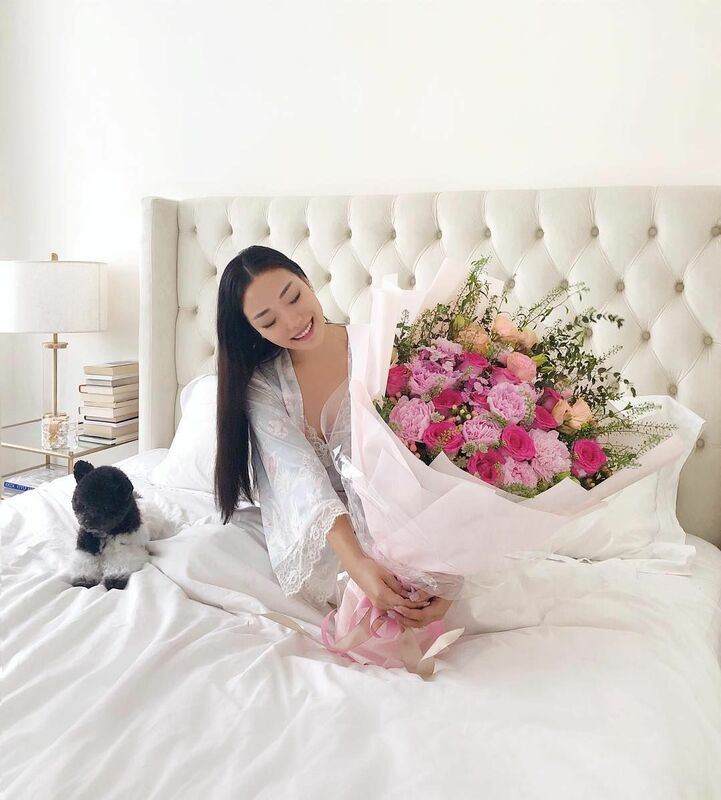 This Valentine’s Day, Lincoln Li made his queen Feiping Chang’s heart skip a beat with a bouquet of stunning roses. With the two adorable boys’ help, Leonard Chao surprised and delighted his wife, Candice Chan with a sweet alfresco dinner at home—#familygoals for sure. The gorgeous bride-to-be Carmen Yim posted a throwback with her soulmate, Jeffrey Char. Always dressed to impress—Eleanor Lam posted a lovely pink-infused portrait that gave off a romantic vibe. Sharie Ross-Tse Co-founder and director of global wellness company Reviv; on the boards of the Hong Kong Ballet and the Hong Kong Adventist Hospital. Leonard Chao Director of real estate investment firm Lechare; founder of Kelly & Moss. Candice Chan Heads J Candice Interior Architects; married to Leonard Chao and they have two children.